Man- I feel like I ran a marathon today. Usually when I go to the bathroom I get winded. Forget about going to three different doctor’s appointments in one morning. All in – I was out of my house for almost 4 hours which is TOTALLY INSANE FOR ME as of late. But the results were really worth it. The baby is growing at a perfectly normal rate. He is in the 53rd percentile – totally average. And believe me – average is what we are aiming for these days!!! 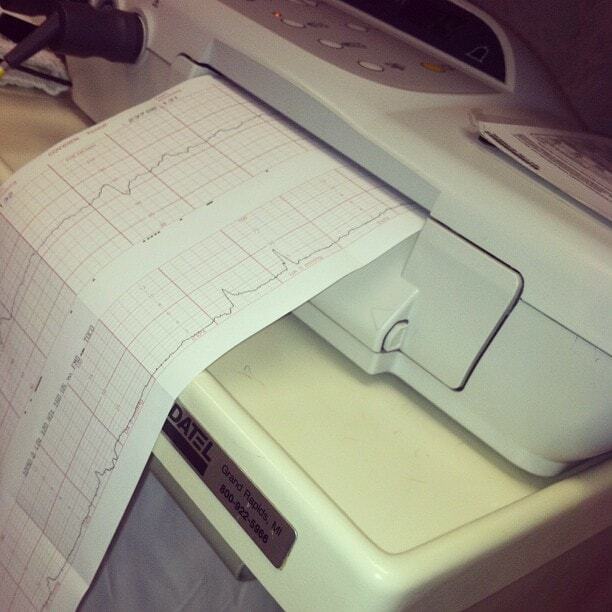 Contraction-wise, I had a little irritability but the doctors were NOT concerned. They told me to keep drinking water and I will. I am one happy camper. I don’t have to go back to get my contraction measurements for THREE WHOLE WEEKS. That’s like a mini-vacation!! Did I just win the lotto? Tomorrow I hit 31 weeks. YEAH!! I feel so good. I really do. The end is near. The baby is healthy and normalcy is right around the corner. That’s great news! I’m so happy for you! Such exciting news! Keep baking baby ;). such great news, you are almost there. 🙂 Keep it up. Congratulations, you must be so relieved. Continued good health for you and baby.